Pickled red Onions is what you would love to eat as a salad. 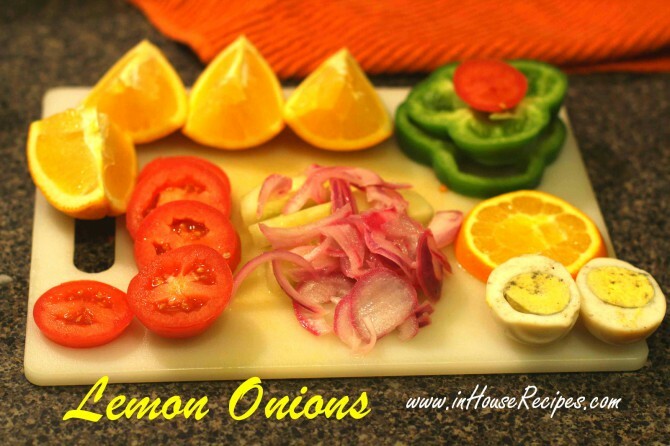 We use Lemon juice to take out the Onion bitterness and sharp taste along with making them soft. 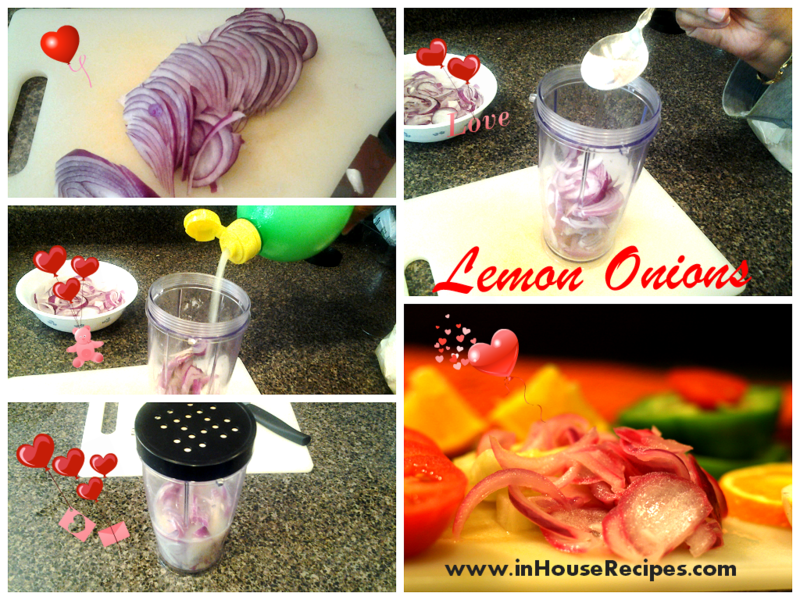 Finely chop the Onion and put them in a glass/plastic jar. Now add the Salt and Lemon Juice. Mix and shake them with a spoon. Keep aside for at-least 20 minutes. Salt and Lemon will take out all the bitterness and sharpness from Onions. Pickled Red Onions goes really well with Chole Bhature, Pav Bhaji, Dal Makhni–Naan and Dal-Rice as salad. Sometimes, people eat them with Khichdi also. Pickled Red Onions can be refrigerated and stored for up-to 3 days for best results. There is no need to drain out the lemon juice. You can keep the Onions dipped in Lemon juice when you refrigerate. 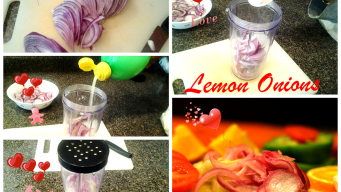 You may want to drain the Lemon juice on 2nd or third day as it would have turned the Onions extra Sour by that time.